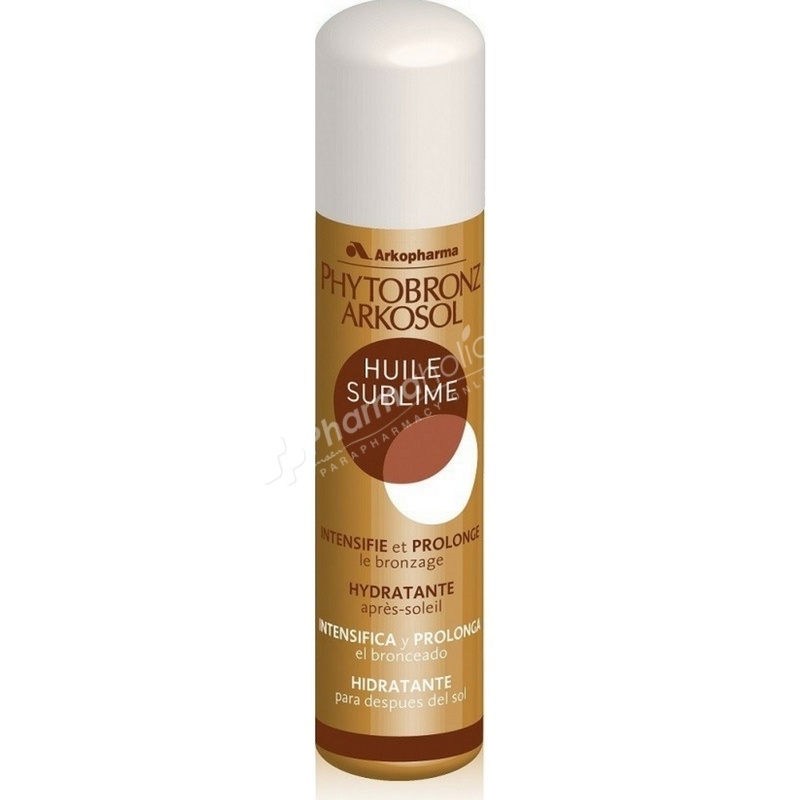 Arkopharma Phytobronz Sublime Oil intensifies and prolongs the tan. Its richness in medium chain triglycerides, natural vitamin E and beta carotene, intensifies your tan, enhances the natural protection and leaves your skin hydrated. During sun exposure, spray oil on the entire body and rub, reapply every 2 hours. Can be used after exposure to prevent skin dryness and prolong the tan. Caprylic/Capric Triglyceride, Tocopheryl Acetate, Tocopherol, Beta-Carotene, Parfum, Benzyl Salicylate, Butylphenyl Methylproponial, Linalool, Limonene, Alpha Isomethylionone. Reserved for adults only. Must be used on skin that has already been tanned , Keep out of reach of children, Avoid sun exposure during the hours of maximum sunshine, otherwise provide a protective clothing, Sunburn is dangerous, especially in children, Does not contain Solar filter.